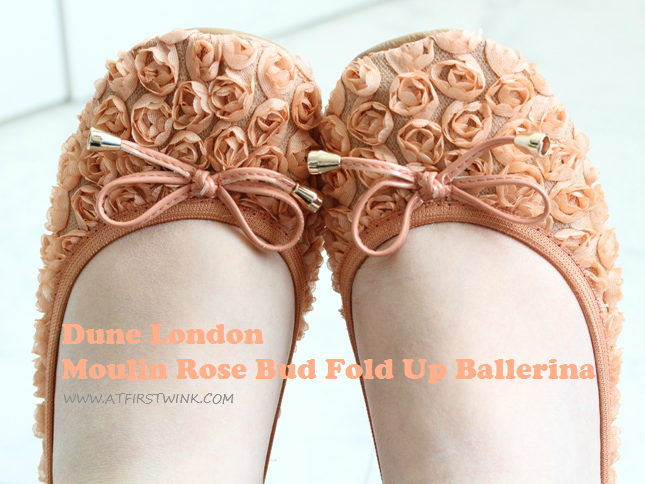 I am not just very fond of coral/orange lip products, but I also found the perfect pair of ballerina's in this color from Dune London, called the Moulin Rose Bud Fold Up Ballerina. 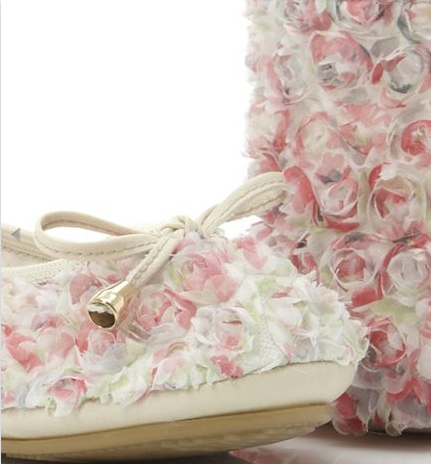 These shoes look very good, together with my metallic bronze bag from Mango and a floral dress. I really like the textured, rose buds that can be found all over the shoes and the cute bows with metallic ends. The elastic band wraps snugly around your foot and it doesn't feel uncomfortable. 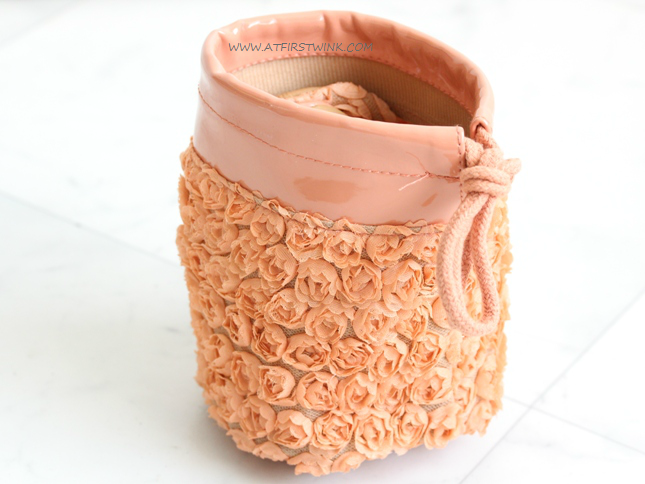 The shoes are made of soft, breathable fabric and the rose buds are tightly sewn. Unlike what I expected, the roses do not prick at all and they keep their shape very well (as in: when you run though them with your fingers, they go back to their original state). 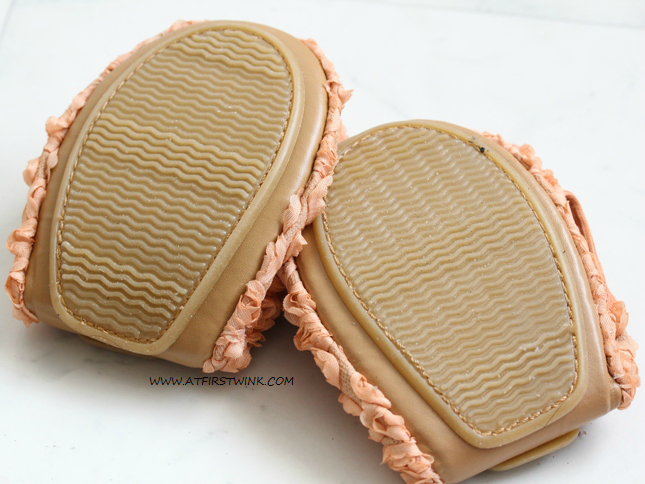 This is how the shoes look like when you take them out of the pouch; they fold up very flat.